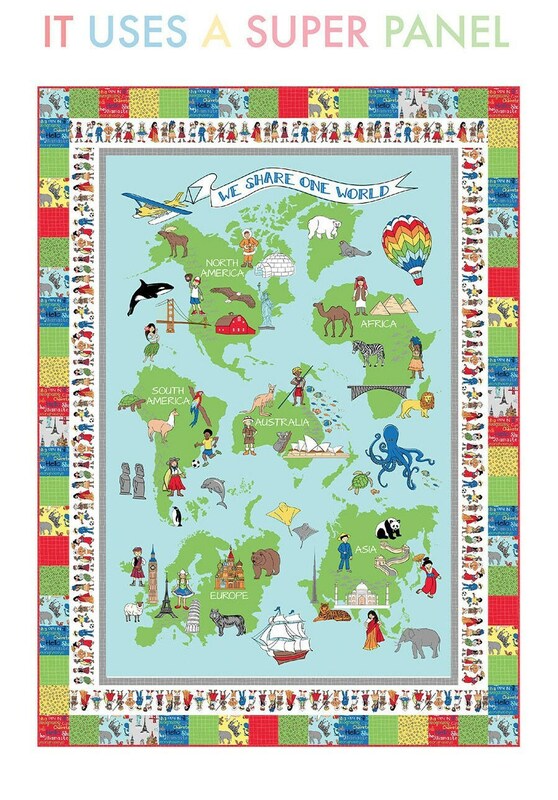 One World Fabric, Continents of the World, World Kids - We Share One World by Whistler Studio for Windham 42714 - SuperSize Panel 47"x70"
that represent each area. Seven areas. 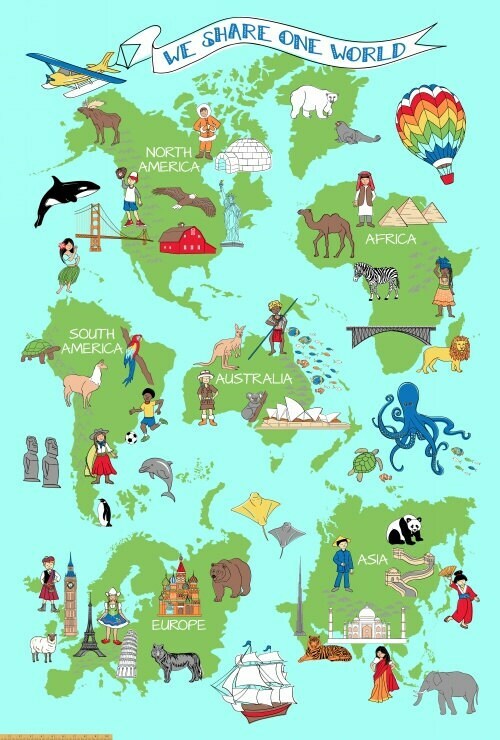 and people that all make up this world we call home.